The Growth Brands Hall of Fame was created in 2015 to recognize brands that have shown sustained growth over a long period of time. Inductees must have won at least 15 Growth Brand Awards over the years (since the program’s inception in 1997). This year, seven spirit brands and one wine brand qualified for that honor. These eight brands are the best of the best, and we congratulate them on their accomplishment. We hope that younger brands, or established brands closing in on 15 Growth Brand Awards, will aspire to one day join them in the Hall of Fame. Each wine or spirit Hall of Fame winner must have at least 15 Growth Brand Awards out of 20 years that the Beverage Information Group has presented them. They can be in any category – Fast Track, Rising Star, Established Growth or Comeback Brand. All statistics are compiled by Adam Rogers, manager of information services for the Beverage Information & Insights Group. Each beer Hall of Fame winner must have at least 10 Growth Brand Awards out of the 20 years they’ve been presented, and must be a winner in the year they’re inducted. For more information about the Hall of Fame or other research products, please contact Marina Velez at mvelez@epgmediallc.com. Only one wine brand entered the Hall of Fame in 2016 – J. Lohr Estates. Read the full story here. In 2016, one beer brand – Pabst Blue Ribbon – also entered the Hall of Fame. The seven spirits and one wine brand inducted this year have won a total of 134 Growth Brand Awards over the years. Read the full 2015 Growth Brands Wine & Spirits Hall of Famers story. The inaugural class of beer inductees includes nine beers that have managed to keep growing through quality products, innovation and strong brand stories that resonate with consumers. 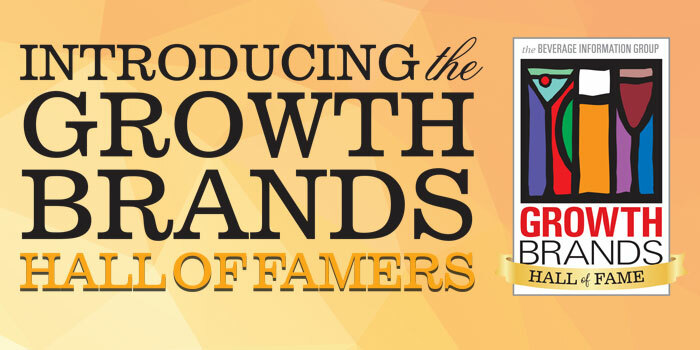 Read the full 2015 Growth Brands Beer Hall of Famers story.